This body-con dress is the perfect dress for any size woman. The ruching helps to flatter those curves, and the length is sensible making it appropriate for work or play. This dress comes in a whopping 9 colors and you won’t believe the steal of a price! The fact that you can wear it alone or layer makes it a piece you can wear year round with endless possibilities. I think I need them all…and so do you! 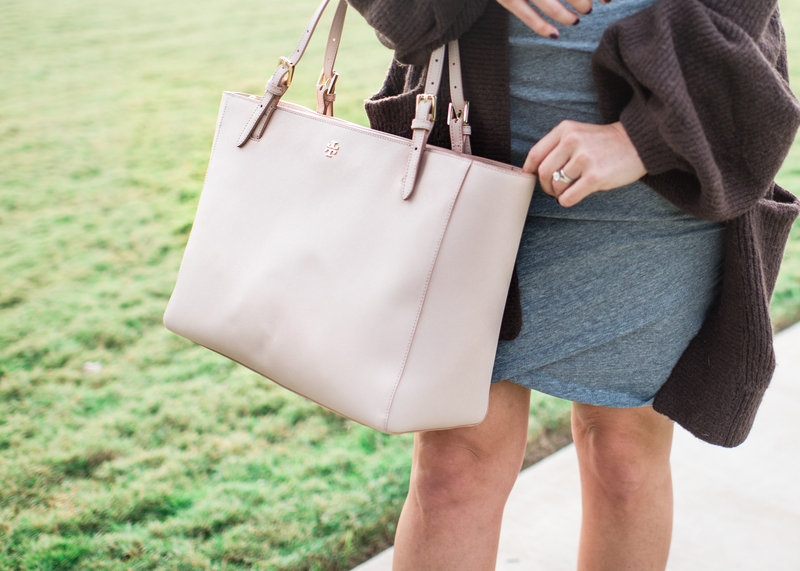 It was a chilly day so I grabbed this oh so comfy cardigan to tote around with me. It’s as if you’re wrapped up in a blanket when wearing this cardigan. A great staple for the cooler temps this time of year! You all know I’m a sucker for a good shoe, I talk about them constantly on the blog. I love to wear heels, but I also don’t want to sacrifice comfort. 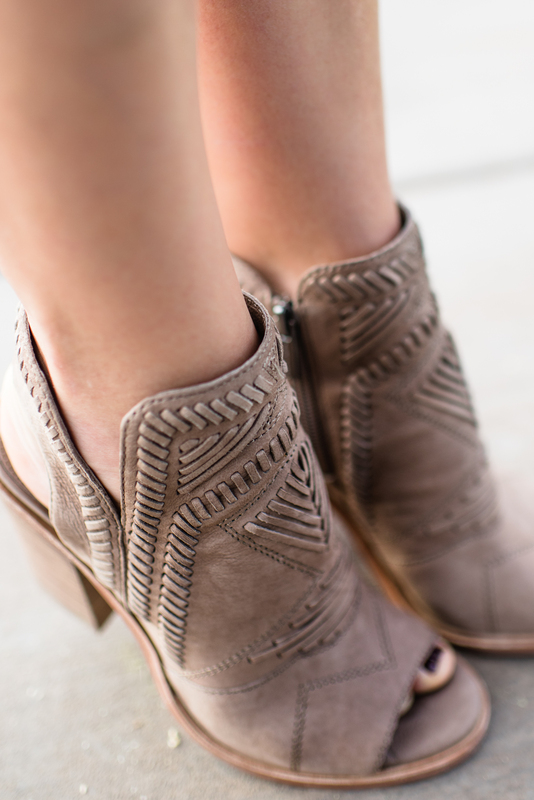 These Vince Camuto Karinta booties have been my go to all season long. The detail on them is so intricate, they’re like a piece of art. 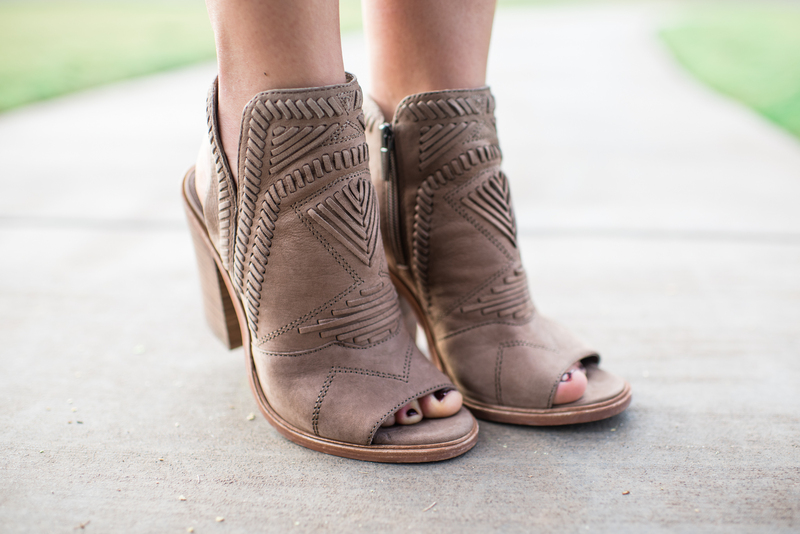 I can comfortably wear these booties all day long…and I have! Don’t let the four-inch heel scare you. It’s a block heel so you have tons of support. See me styling them in another post here. I love to wear them with dresses, or rolled jeans and a tee. I get compliments on these booties every single time I wear them. Cute, classy, comfortable & affordable. It’s a bootie you’ll find yourself reaching for over and over as they’re everything a gal could ask for!